My blogging friend, Ali Wilkinson, of Needle Down posted a great blog entry a few days ago called Quilty Bucket Lists which got me thinking about what is on my own quilty bucket list. I’m going to start with a current project because this blog needs a photo. We quilters (and other readers) like pics! For Christmas this year for my sister I am making the Twist & Turn Four-Patch Quilt featured on Annie’s Craft Store. The reason this quilt is on my quilty bucket list is that I want to have a successful experience with sashing unlike my dreadful experience with sashing that I shared about in My First Quilting Meltdown blog. I have also wanted to try flanged binding that is so beautifully explained by Lorna of sewfreshquilts in this tutorial. I recently saw this Moroccan Lanterns Quilt pattern designed by Lee Heinrich on her Freshly Pieced blog and fell in love with it. I think this Storm at Sea Quilt that uses recycled jeans is awesome. It is made by Deonn of Quiltscapes, and the pattern is available on Craftsy. This Modern Half-Square Triangle Quilt made by Playcrafts totally speaks to me. When I am ready to try curves, I will make the Beach Ball Quilt which is blogged about here. Alison Glass’ Feathers Quilt is a paper-pieced quilt I will make someday. I’m very drawn to so many of the orange peel quilts I see online, and when I saw the Solids Orange Peel Quilt featured in the Fall Market 2012 Trend Report, making an orange peel quilt has jumped up on my list. Next June I will be going to Glamp Stitchalot 2016 hosted by Pink Castle Fabrics, and one of the “counselors” will be Elizabeth Hartman (along with Penny Layman, Monica Solorio-Snow, Carolyn Friedlander, Rashida Coleman-Hale, and Ayumi Takahashi). 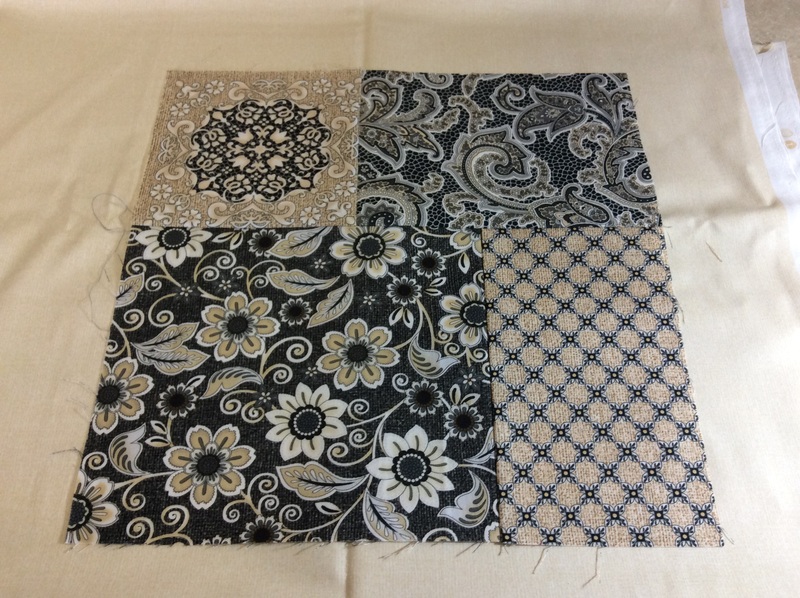 I am so excited about this opportunity, and before I go, I hope to make Elizabeth’s Downtown Sampler Quilt which is made up of 48 blocks–16 each of 5″ x 8″, 8″ x 8″, and 5″ x 14″. The video below says the quilt is the Uptown layout, but changes must’ve been made before the book went to press. Page 169 of Patchwork City identifies this quilt as Downtown. I recently participated in the 2015 Fabri-Quilt New Block Blog Hop, and I definitely plan to make a sampler quilt out of many of the blocks posted on this blog hop. I want to make a mini-quilt using the Builder’s Star Tutorial by Amy Garro of 13 Spools as the central focus of the quilt. I am CRAZY about this Machine Quilting Sampler by Amanda Jean Nyberg of Crazy Mom Quilts. She now has a Craftsy class, Colorful Scrap Quilting. I’m hoping she’ll do another Craftsy class that teaches students how to make this quilt. Sign me up!!! Square Stippling–I tried my hand at square stippling a couple weeks ago at a beginning free motion quilting class. I hope to get a lot better at it and would like to do my own square stippling on small quilts. Check out some of examples of square stippling on my Pinterest Free Motion Quilting Square Stippling board. Glue binding seems very popular right now, and I’m going to give it shot sometime soon. Speaking of glue, I will probably also try glue basting to help me with more precision piecing. The other binding technique I really want to try is this No Tails Binding Technique. I will finish the Twist & Turn Four-Patch quilt for my sister this year, but I can’t promise I will get any of the other quilts listed above done in 2015. In addition to quilts, I also have some pillows, tablerunners, placemats, and embroidery projects that I would like to make in the near future, and at least a couple of the pillows and some placemats should be done this year for Christmas gifts. Look for My Quilty Bucket List-Part Two soon. What projects/techniques to master are on your quilty bucket list? If you are not a quilter, is there a quilt on my bucket list that particularly appeals to you? Oh lucky you to be going on a quilty trip / retreat . Sounds wonderful . I should make my own bucket list if quilts to make. My sister would love the doggone quilt that’s about at the minute. My lists are usually unfinished quilts ! There are just so many, but the first one will be the quilt I make in this Jean Wells seminar next week. My bucket list is not specific and I Ike your idea of listing the links, which will make for easy reference.